this is one of the thing i have been waiting since the birth of Chrome… yes … Chrome gets nearly 40,000 new extensions with support for Greasemonkey. Google Chrome has already captured 5 percent of the Internet browser share, and you can bet that number will increase now that Greasemonkey scripts are natively supported by Google’s upstart browser application. You can download extensions from Google’s Web site. There are already plenty to choose from: Google tools like a one-click Google Translate button are well represented, as are popular add-ons like Xmarks Bookmarks Sync, Cooliris, and assorted ad blockers. Here are 22 most popular & post useful Google Chrome extensions so far .. 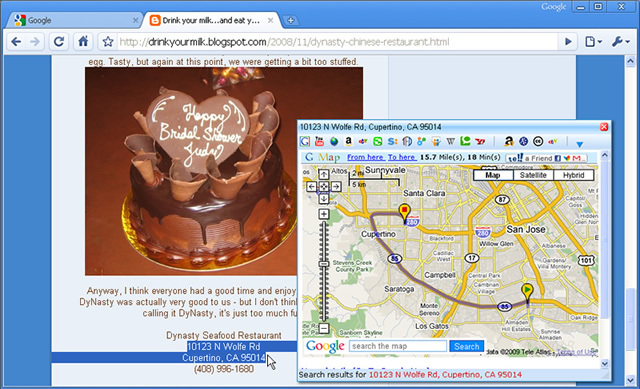 This Google Chrome extension enables you to view two different web pages in a single tab. A single tab will split into from the middle such that in each half you can see two different sites side by side. Particularly useful if multitasking or undertaking some research. 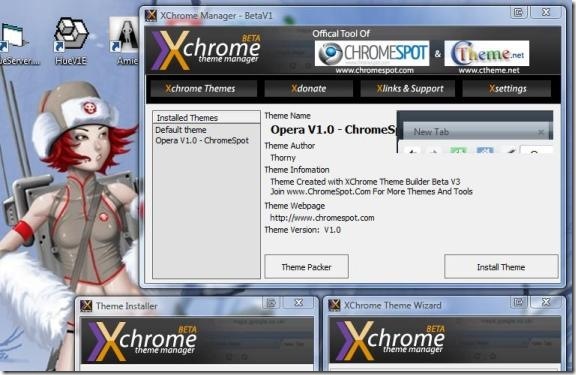 This is a theme manager for Google Chrome browser. Now you can change the theme to suit your mood just with a click of a button. A must add-on if you are a fan of customization! This is a popular Google Chrome extension that will clean all the ads present in web page such that you can view web pages ad free. 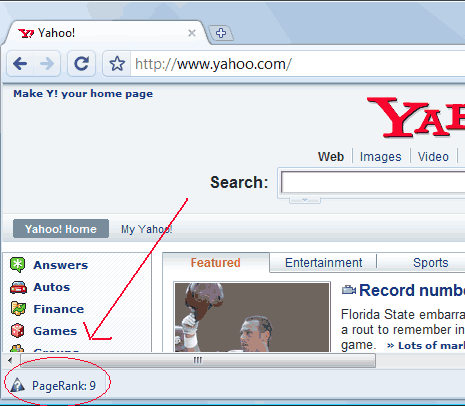 It even helps to remove all the ads from Youtube videos or webpages and present you clean ad free page. 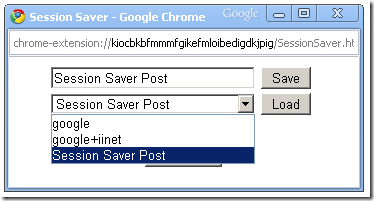 It is basically a bookmarklet which lets you to mail the content of a web page through Gmail. Just select the content that you want to mail and press this bookmarklet Gmail composer window will open with the selected content now you can directly type in the email address to whom you want to send it and click send just like you do to send mails using Gmail. This tiny extension embeds a little notification icon in your toolstripwhich will alert you when you receive a new email! A click on the alert take you directly to the GMail window. This little script allows you to add a GTalk icon to your launcher which, when run, opens up a window that simply requires your login and password to get you chatting. Session Saver is a session manager that lets you save and manage multiple sessions. It will help you to you save, manage and reload multiple sessions. This clean and simple extension will display the current page rank of the opened website in the Google Chrome Status Bar. Cleeki is a perfect pal if you need to launch search/share/publish tasks based on any content in your browser. Just select some text, and Cleeki can search/share/publish the content and preview the results immediately. Cleeki can also preview a hyperlink without open a new window/tab. 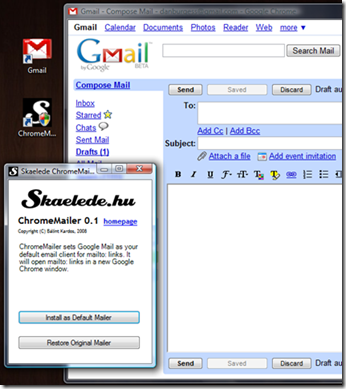 ChormeMailer is an application to send emails via Gmail, either directly or when you click on the links mailto: instead of opening another mail client. 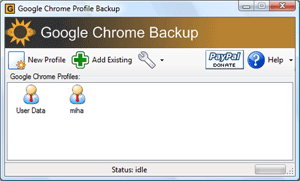 ChromePass add-on recovers usernames and passwords that are stored on Google Chrome browser. Simply install this add-on plugin and retrieve all the details. This extension reside in the toolstrip and alerts you as to how many feeds you have unread inside your Google Reader account. Besides doing this, it also adds an RSS icon to your address bar allowing you to subscribe to a sites RSS feed with your Google account. Chrome Gestures addon adds a number of mouse gestures to Chrome browser. Chrome Sticky Notes adds an inbuilt notepad to Chrome which can be launched by clicking on the little notepad icon on the toolstrip. You get the option to save your sticky note for future reference, and you can view it even if you restart your browser. With Drag n Go Plugin you dont need to right-click and then select “Open in New Tab“ to open new links in background tab or foreground. All you need to do is to just drag the links to very small distance and drop it. It retrieves the number of notifications from your Facebook account. You have to be logged in to Facebook for this extension to work. 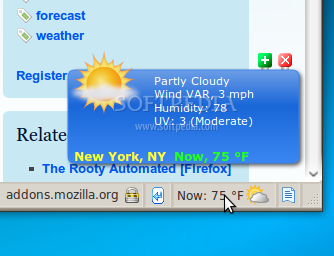 Detailed weather report in the browser’s toolstrip. Also available as a Firefox addon. Now with all those amazing extensions installed onto your browser, you can enable, disable or delete the extensions from the application itself by installing this add-on! So, which add-on you found as the most useful? Do you know of any other useful Google chrome extension? Feel free to share them in the comments below. This entry was posted in Tech Updates and tagged . Sticky Notes, 22 Google Chrome Extensions, Adsweep (Adblock), Aniweather, Chritter, Chrome Gestures, Chrome.fm, ChromeMailer, ChromePass, Cleeki Google Chrome Extensions, Drag n Go Plugin, Facebook Notifications, GMail Checker, Gmail This Google Chrome Extensions, Google Chrome Backup Extension, Google Chrome Dual View, Google Chrome Extension Manager, Google Chrome Extensions, Google Page Rank/ Alexa Rank Checker, Google Talk From Your Browser, Greasemetal, official launch of chrome's extension, Session Saver – Session Management tool, TPGoogleReader, XChrome.